With most women being pressed for time it’s not just the efficacy that we look for in skincare it is also the multi-tasking aspect that we want as well. After all, if we multi-task daily, can’t our skincare do the same? 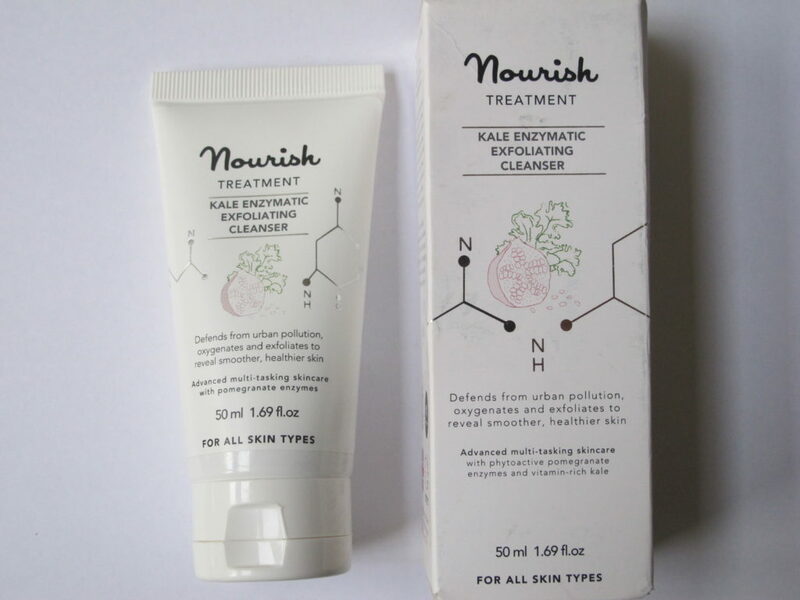 Dr Pauline Hili, founder of Nourish Skincare and her team are always open to their customer feedback and their recent launch, Kale Enzymatic Exfoliating Cleanser is the testament to that. – Griffonia Extract that acts as a protective shield against environmental aggressors to which we are sadly exposed daily. It helps to revive and lift the skin, as well as reduce fine lines. Its blend of carbohydrates provides a unique defence mechanism that supports your skin matrix. – Phytoactive Pomegranate Enzymes gentle exfoliate your skin surface but also help to clear away dulling cellular debris that can trap pollution and grime. Pomegranates are known as very effective antioxidants which help fight free-radicals like environmental pollutants thus delaying the signs of ageing in our skin. – Argan Oil helps to heal skin tissues. It is a powerful anti-inflammatory and protects against sun exposure ( you do need a separate sun protection product though, even in winter time, but do remember that your body requires at least 15 minutes of direct daily sun exposure in order for you to top up your Vitamin D, which is essential for immunity and bone health ). Now that you have the scientific facts on board, let’s proceed to the ways to use this product effectively. As a Cleanser: Massage over wet skin & rinse. It feels very gentle & therapeutic on the skin and when you wash it off your skin not just looks healthier and brighter but feels baby-soft as well. I also love its uplifting, minty smell that wakes up your senses – a multi-tasking result of a revitalised complexion and sunnier mental disposition. Daily Mask: Smooth over dry skin and leave for about two minutes. Wash off with warm water, spray your face with tonic and let it be absorbed by the skin. Follow it with your usual serum, moisturiser or face oil. Weekly Facial: Apply as mask. After five minutes spritz your face with Nourish Toning Mist or warm water to soften; massage your face and rinse with cool, but not cold water. Pat you skin dry. I want to finish this review by gently reminding you how important it is to nurture yourself. Mothers are often beset by guilt but I can honestly say that making time for yourself, even if it is for 10 or 15 minutes a day, will make for a happier family environment & increase your productivity at work. ‘Me-time’ will also boost your well-being, as well as your complexion and have a positive effect on your sense of self. A happy you, a happier world! Kale Enzymatic Exfoliating Cleanser is part of Nourish Skincare Kale & Argan Treatment Collection. 81% certified Organic. §16.50 for 50 mls. Available to purchase at Content Beauty, Debenahms or online from Nourish Skincare website.